Bob Gaines is an American Mountain Guides Association certified Rock Instructor who is also an examiner for the AMGA Single Pitch Instructor exam. Bob is the author of the FalconGuides Best Climbs Joshua Tree, Toproping, and Climbing Anchors (co-authored with John Long). He lives in Joshua Tree and Irvine, California. 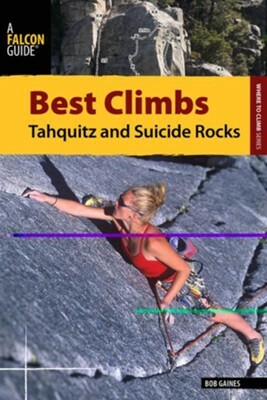 I'm the author/artist and I want to review Best Climbs Tahquitz and Suicide Rocks.